Kelly introduced to me to Women’s Moon Cycling Work about eight months ago. We had spoken about her being a personal coach to me of some sorts. I had shared with her my pretty negative experiences with coaches in the past; and to some extent she had shared that her most potent role in my life could be one that helps me to become aware of my own personal cycles rather than a personal coach. So from there, for me, and for us, it took the “superior power” role, “I know and you don’t” or “that’ll be $10,000 please” out of the whole process. 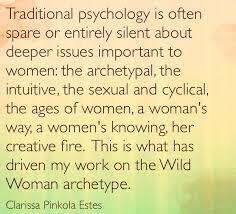 She returns it to the sacred feminine, collectively as women, reclaiming that spirit together. Kelly had suggested to me to start journaling everyday. Just a little something, whether that be a doodle, sketch, picture, image, writing…whatever it was; just something to document, so that I could go back and start to become aware of patterns within my moon cycle. The process for me at first was very sporadic, only journaling about a handful of days a month, but by the time I had hit month five and six. I was on it. I was journaling a little something everyday, and if I forgot on a couple of days, I would say, “Didn’t journal these days.” Or I would recall the important things that I could from those days. And patterns did start to emerge. Later on in our work, around the same time as month five and six, Kelly and I started working together on a monthly basis. She shared so many incredible insights about being a woman, and our cycles, that I hadn’t known before or had read, seen or heard from any other resource. Kelly had asked me, “Are there times in the month when you just feel wildly creative and you just have all this energy and you can get a bunch of stuff done, and the writing pours out of you along with the insights. You can’t write as fast as the insights are coming to you? !” I said, “Yes!” And then she said, “Do you also have times in the month where you find it more challenging to do creative projects, like a creative block and don’t go out, and are more introverted?” And I said, “Yes!”She told me that’s how it is supposed to be. Kelly shared with me what she had learned and that as women we do have creative cycles and reflection cycles within our monthly cycle. It was also during this time that I had learned through my work with Kelly that the second half of my cycle is shadow time. And what that means to me is that there are some less than desirable characteristics, thoughts, feelings and traits that come to the surface and rear their little heads during the second half of my cycle. But with Kelly’s help I began to learn that this second half of a woman’s cycle, is a time that we have the opportunity to heal whatever is coming up and holding us back in life. A lot of that for me is healing around my ancestral lineage. And I have struggled with suicidal thoughts off and on since I was 14. I didn’t know that suicidal thoughts were a symptom of PMS until I started working with Kelly. And just coming to that awareness healed a bunch within me. I used to think something was wrong with me, but now I do see that my hormones are pretty intense and that having suicidal thoughts were natural. As cliche as that may sound, it took the significance out of these suicidal thoughts and began to diminish them greatly, which is a huge sense of freedom. I continue to speculate that the suicidal thoughts around my moon cycle has to do with me healing my past woman, ancestral line. The women on both sides of my family were disempowered in many ways, but particularly on my mother’s side, they were disempowered from expressing and exploring their creativity due to the men in their lives. I speculate my suicidal thoughts, that are related to my hormones around my moon, has to do with just that. And now I am aware that I do have the opportunity to continue to heal that energy seven generations back. It is very challenging to put into concise words what my work and very little time spent working with Kelly has done for me. It has absolutely empowered me as a woman and I have accessed more self-love and gentleness with myself, especially around the time of my moon because it is not easy for me, but she helped me become aware, that it’s ok; and just because something is not easy doesn’t mean that there is anything wrong with me. I have come to realize that if I was in charge of the world, women would not have to work during their moon each month, and there would be feminine supplies in every bathroom, it’d be a legal requirement as it is for handicapped stalls! I would also give pregnant women time off from the moment they know they are pregnant, if they choose, and give them 2 years maternity leave. What I have learned from Kelly is that she has brought me back to Sacred Women’s Wisdom. That there is Sacred Women’s Wisdom in our cycles and we are so much more powerful and have worked through very difficult times in our lives. Women are naturally warriors…..
Lastly, I felt like I was back in control of my life and body with knowing and being aware and consciously ebbing and flowing with my cycle. It made life much easier. To the point, now when one of my girlfriends is having a bad day I ask, “Do you have your period?” So far I have received 100% feedback of that being the case. So, if you are struggling in your life, I invite you to work with Kelly to become more aware of your natural ebbs and flows in your own cycle. With the great words of Jon Kabat-Zinn, “You can’t stop the waves, but you can learn to surf.” Kelly has taught me to metaphorically surf. Next Post Spring is coming. I’m grown & don’t have to just lay there. This is really interesting Kelly – coincidentally – or maybe serendipitously, I’m working on my next post about creative cycles – I’ve been monitoring my moods and creativity against the moon cycles for the last 8 months or so and it’s been very interesting. There’s just so much to it….all of the women’s mystery work, to me anyway, is intricately tied to our personal cycles. Working with these rhythms has unlocked, changed and absolutely deepened my entire life and journey. I really look forward to reading your thoughts!